With Easter just around the corner, we thought it would be fun to put a list of ideas together of things you can do with the residents at your home. Put an Easter Twist on Bingo: Find some Easter or spring themed bingo boards online or have your residents decorate existing bingo cards with Easter and spring colors and stickers. Easter Word Scramble or Word Search: Tons of Easter and spring word scrambles, word searches, and crossword puzzles are available through a quick online search or make your own. Egg Trivia: Put slips of paper inside plastic eggs and have your residents pick one and respond to the statement on the paper for example “How do you like your eggs prepared” or “What is your favorite kind of candy” for an easy and fun game! Easter Bible Trivia: You can use the same idea as above and put the questions inside plastic eggs OR have trivia sheets where they can answer ten questions, the winner gets a prize! Easter Guess How Many: Fill a jar with Easter treats and/or candy and have residents guess how many are in the jar, the winner gets… you guessed it – the jar! Why not try a reminiscing activity with your residents and spark their Easter memories with questions like: Did you celebrate Easter as a child? How did you celebrate? What did Easter mean to you and your family? You’re sure to have them sharing lovely stories with each other in no time at all! Family Brunch: Invite the resident’s families for a brunch or afternoon tea to enjoy some quality time, socializing, and games. Egg Hunt: Invite resident and staff families to an egg hunt! You can hide treats and toys inside plastic eggs or get your residents involved in an egg hunt just for them and watch how competitive they can be! Photos with the Easter Bunny: Another fun twist on an Easter event at the home! Hire or rent an Easter bunny costume to have residents and families meet and greet the star of the holiday and remember to take LOTS of photos! We don’t want to forget that for many people Easter is a highly religious holiday. Make sure there are ample services for your residents. This may also be a good time for residents to attend outside church services with their friends and family. Whatever their religious beliefs it is a good idea to talk to them about how they’d like to celebrate and help them get the most out of the holiday. 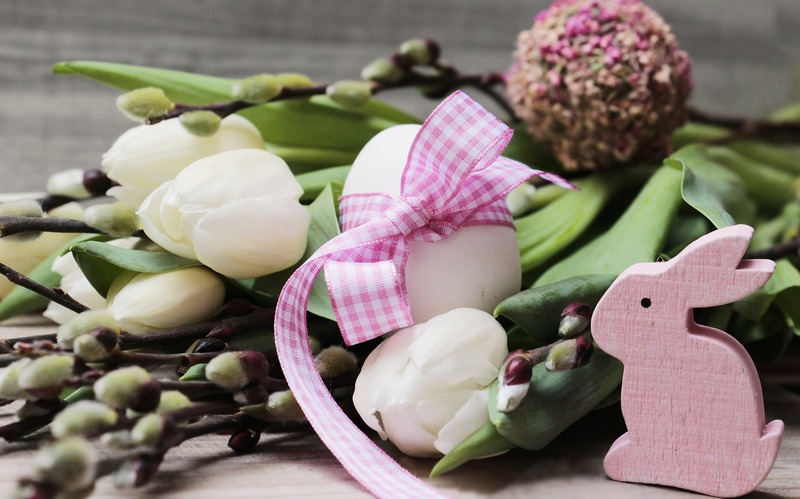 Everyone’s favorite activity for any holiday is, of course, the fun of creating homemade crafts that we can do together and Easter is no exception! The ideas are endless – just do a Google search for “Easter Crafts” and you’ll be sure to be overwhelmed by the options! Decorate eggs, make homemade Easter cards, create Easter baskets, paper flowers, create little chicks and bunnies, create homemade suncatchers… the list goes on and on! ActivityPro would like to wish everyone a very Happy Easter!